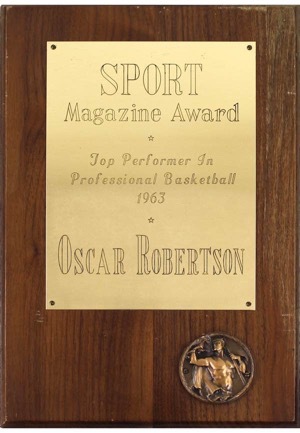 An 8x10” wooden plaque awarded to the legendary Oscar Robertson for his performance in the 1963 season. The Big O put together a stellar campaign, averaging 28.3 points, 10.4 rebounds, and 9.5 assists per game. 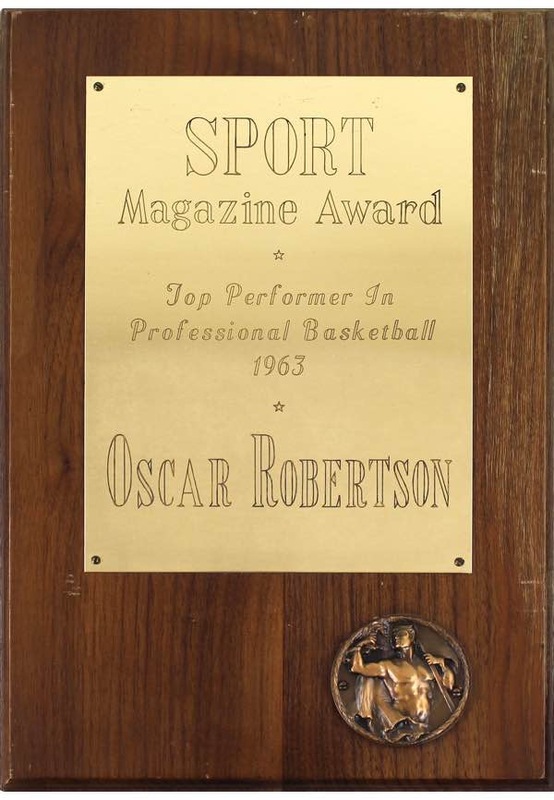 On the front is an engraved plate reading “SPORT Magazine Award Top Performer In Professional Basketball 1963 Oscar Robertson”. Beneath this is an emblem of an ancient Greek athlete in bronze. EX condition with some scratching to the plate and wood. Accompanied by a Robertson LOA.